Frank J. Bova, PhD, attended Sewanhaka High School in Elmont, New York graduating in 1968 followed by Rensselaer Polytechnic Institute. In 1972 he graduated with a Bachelor in Biomedical Engineering and in 1973 a Masters in Biomedical Engineering. He went on to receive a Ph.D. in Nuclear Engineering Sciences with a specialization in Medical Physics from the University of Florida in 1977. In 1978, Dr. Bova joined the Department of Radiation Oncology at the University of Florida. In 1991, he was appointed as the Albert E. and Birdie W. Einstein Fund Professor of Computer-Assisted Stereotactic Neurosurgery within the Department of Neurosurgery. In January of 1999, he joined the faculty of Neurosurgery at the University of Florida and was appointed Professor of Neurosurgery. In 1985, Dr. Bova began the University of Florida Radiosurgery program in collaboration with Dr. William Friedman. Their work has resulted in several patents for mechanical and computer system associated with radiosurgery and image guided procedures. In total, Dr. Bova holds 13 patents, beginning with the first in 1992. The UF Radiosurgery program has treated over 4500 patients and assisted in over 2600 biopsies and DBS procedures. Most recently, Dr. Bova has patented an imaging platform to provide integrated navigation capabilities for surgical guidance. Dr. Bova served as President of the Florida Chapter of the American Association of Physicists in Medicine 1997-8. He had previously served as the President of the Southeast Chapter of the AAPM from 1985-86. He was an American Association of Physicists in Medicine Board member 1998-2000. He has also served as a Board member of the International Society of Radiosurgery. 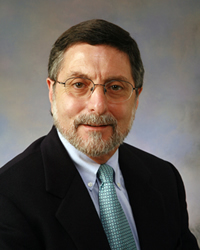 Dr. Bova has served on committees for the State of Florida’s Department of Radiation Control, the American Cancer Society, American College of Radiology, the Florida Radiological Society, the American Society of Therapeutic Oncologists, the American Association of Physicists in Medicine and the International Streotactic Radiosurgery Society. He has also serves as a Delegate to the International Electrotechnical Commission and a Liaison to the NEMA for Therapeutic Radiology. He has been active in the American Board of Radiology, chairing the Physics section of the written examination for Therapeutic Oncologist from 1994-1999. In 2001, the International Stereotactic Radiosurgery Society presented Dr. Bova with the Fabricant Award. From 2008-2009, Dr. Bova served as Chair of the University of Florida Faculty Senate and as a member of the University of Florida Board of Trustees. In 2014, Dr. Bova was awarded both the University of Florida College of Medicine Lifetime Achievement Award and named University of Florida Office of Technology and Licensing Inventor of the Year. Dr. Bova currently serves on the UF Intercollegiate Athletics Committee. Dr. Bova is the Principal Investigator for the McKnight Brain Institute Radiosurgery/Biology Laboratory from which his team supports clinical image guidance for UF Health Hospitals and develops new technologies in the areas of image guidance, computer-assisted neurosurgery, mixed-reality simulation, and radiosurgery. Dr. Bova also holds joint appointments at UF in the College of Engineering and the College of Veterinary Medicine. Dr. Bova is Fellow of the American Association of Physicists in Medicine, the American College of Radiology and the American Institute for Medical and Biological Engineering. Dr. Bova is Board Certified by the American Board of Radiology in Therapeutic Physics.